ARLINGTON, VA, September 30, 2014 – Today, PBS LearningMedia unveiled a new suite of teacher tools, a student website and Spanish-language content designed to support an expanded audience of teachers and students as they settle into the new school year. These new offerings strengthen PBS LearningMedia’s existing library of more than 87,000 digital resources designed for PreK-12 classrooms and make digital learning more engaging than ever before. New productivity tools including a Lesson Builder, Storyboard tool, and Quiz Maker enable deeper engagement with content and allow educators to create personalized, interactive activities for students that can be used in the classroom or as homework assignments. With these tools, educators can track results at the individual level as well as for the entire class, getting real-time data demonstrating student understanding. PBS LearningMedia for Students (PBSstudents.org) allows students of any age to create their own learning experiences by engaging directly with content. Students can search for, save and share their favorite resources, as well as download for offline viewing. Students 13 or older can also create their own Storyboards to demonstrate their mastery of curriculum concepts. The addition of more than 700 newly translated videos offers Spanish-language speakers more opportunities to interact with PBS LearningMedia. The videos span a wide range of subjects, with a focus on science, technology, engineering and math (STEM). The videos, including content from NOVA and Ken Burns’ The Roosevelts, offer Spanish audio and closed caption text, and can be paired with an English version, making it easy for students to toggle from one language to the other. 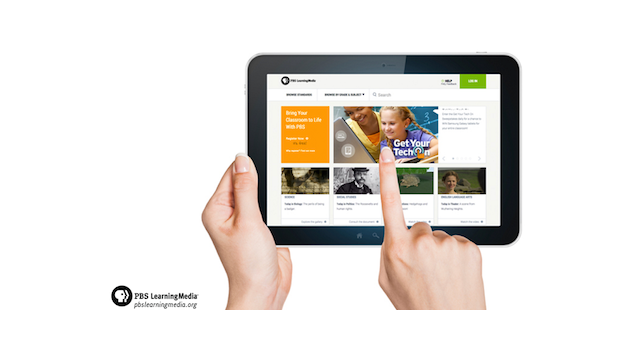 Users can gain access to PBS LearningMedia content and tools through a newly designed website optimized for viewing on all screen sizes and devices including tablets and smartphones. They can search for resources by grade and subject, alignment to standards, or keyword. The site is updated frequently to reflect weekly content themes and current news and events. As educators settle into the 2014-2015 school year, PBS LearningMedia recommends the following tips. For more information and professional development resources, visit www.pbslearningmedia.org. 1. Flip your classroom. Flipped learning helps teachers make better use of face-to-face time while students are in class. The flipped model inverts the traditional structure of a classroom, with students watching videos at home and doing “homework” in class. Get familiar with flipped learning through these PBS LearningMedia resources. 2. Keep up-to-date on current events. Encourage your students to become citizens of the world by increasing their awareness of current events through media. PBS NewsHour Extra provides PBS LearningMedia with a Daily News Story. Included with daily video clips are standards-aligned lesson plans that help students understand the impact of major national and international news stories. Check out the Daily News Story on PBS LearningMedia’s homepage. 3. Take your teaching to the next level with games and interactives. Game-based learning has transformed many classrooms and can make learning fun and engaging. Use video games and interactives to challenge students’ problem-solving skills. Check out a series of games and interactive from PBS LearningMedia. 4. Allow students to become creators. As the Maker Movement gains momentum in classrooms, students are no longer merely consumers but creators of content. Provide ways for your students to become makers using digital storytelling and presentation tools. The new Digital Storyboard tool helps students bring their digital projects to life through video, images and text. 5. Personalize and differentiate instruction. Using digital media in the classroom can help personalize instruction and reach learners with different needs. Videos and interactives explain complex concepts that may be difficult to grasp through text alone. For students who need more time or deeper engagement with a subject, self-paced lessons are a valuable instructional tool.